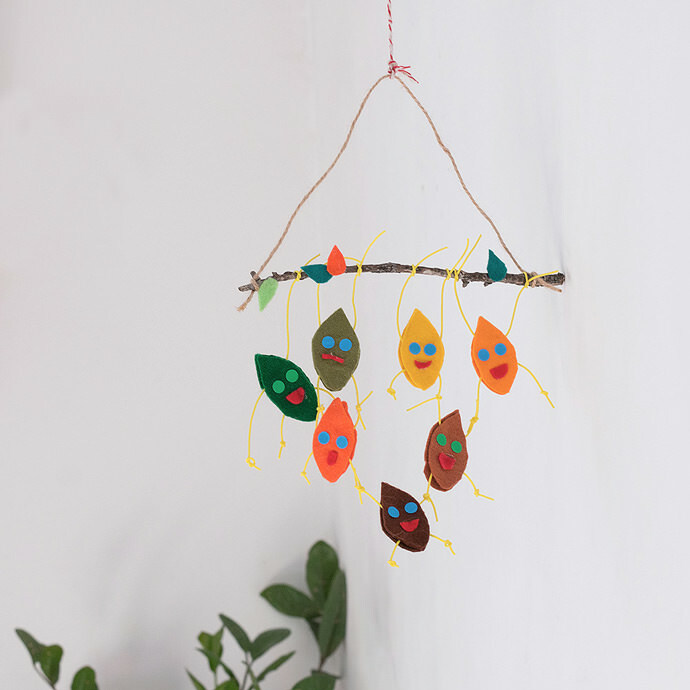 Looking to make a cute mobile with the kids for their room? 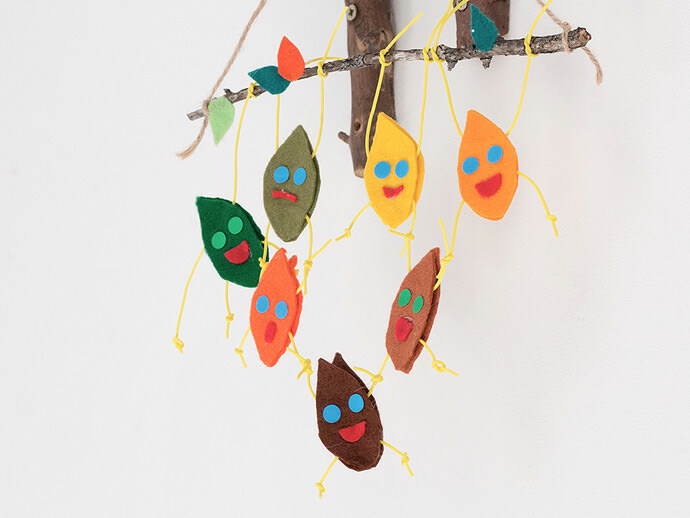 Make this fun hanging decoration with leaves acting like daring trapezists handing down the branch; these leaves are still too young to fall down off the tree! 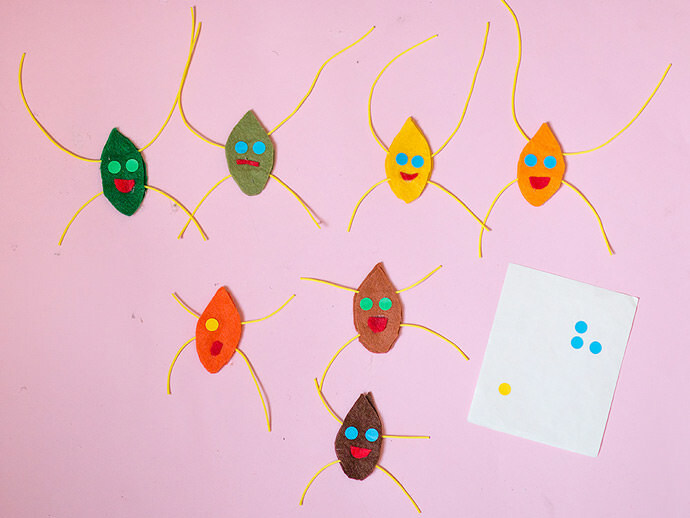 This is a very easy craft you can enjoy making together with young children. Use the printable template or draw your own leaves. 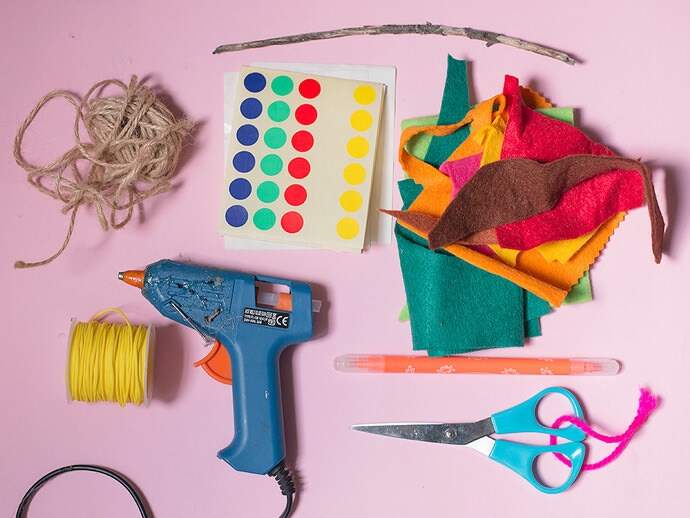 You just need a stick or branch, felt scraps and some cord. 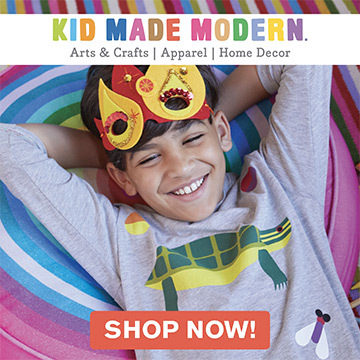 Children will enjoy cutting the felt leaves and tying knots. 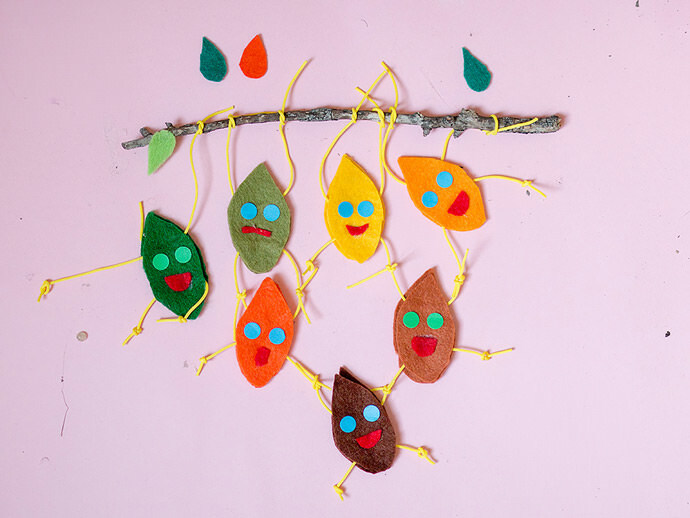 The bright colors of the felt leaves will look gorgeous in any nursery. A perfect woodland-themed decoration! Download and print the template, then cut out the big leaves and the mouth shapes. 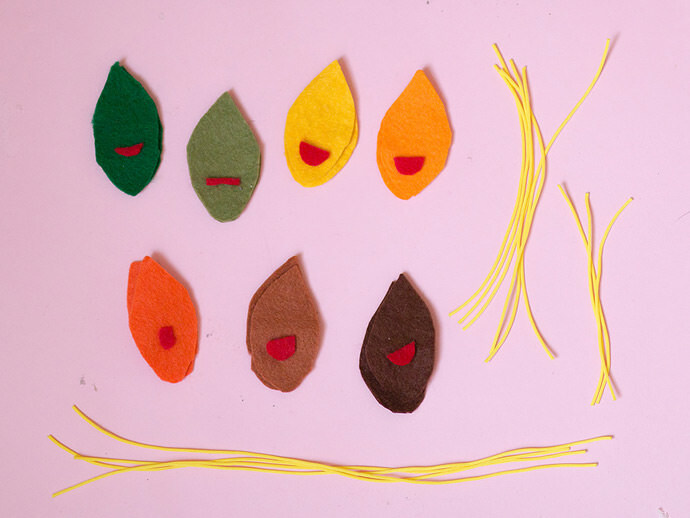 Trace shapes onto felt (or draw your own leaves) and cut them out of the felt. You need two leaf shapes and one mouth for every leaf you put on the mobile. Cut four pieces of cord trim 9 inches long (23 cm) for the arms of the first row of leaves. Cut three pieces of cord trim 4.5 inches long (11,5 cm) for the rest of the arms. Cut seven pieces of cord trim 5.5 inches long (14 cm) for the legs. 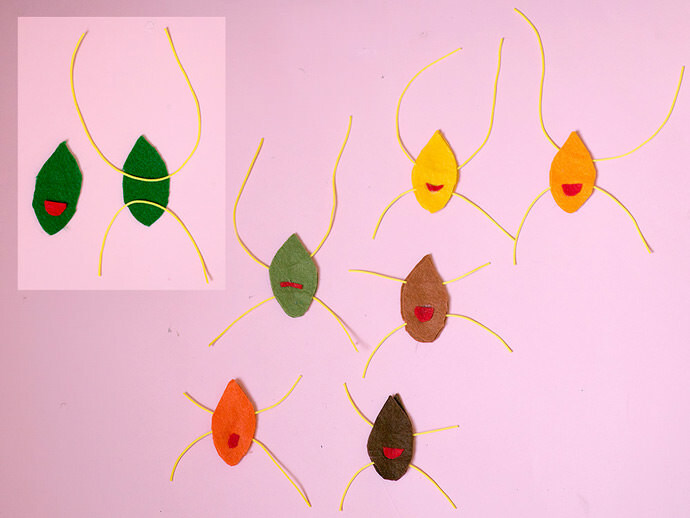 Glue felt mouth shapes to leaf shapes. 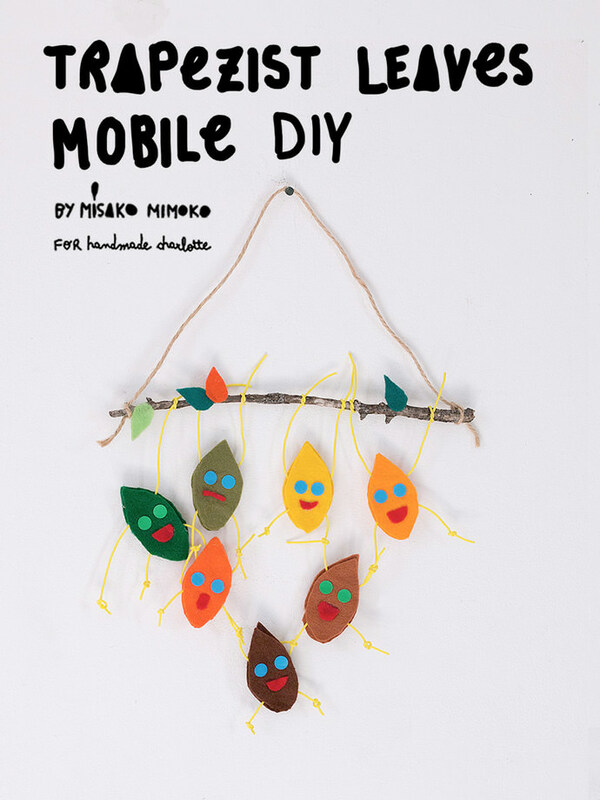 Sandwich and glue the arm and leg cord pieces between two felt leaf shapes to create all the leaves that you need for your mobile. Add small round stickers for the eyes. You can draw pretty eyes or use googly eyes if you prefer. 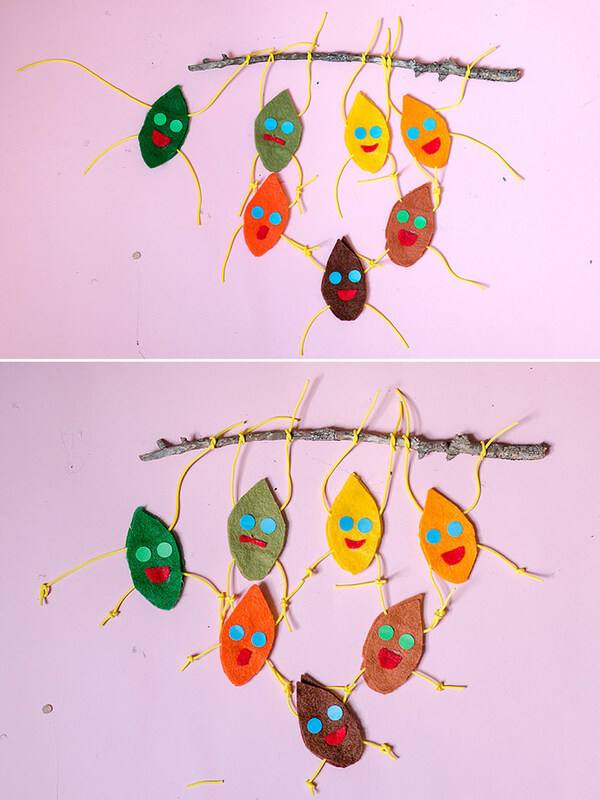 Take a 9-inch branch or wooden stick and choose the leaves with the longest arms to make the first row of leaves. Start tying the arm cords of the leaf around the branch. For the first brave leaf on the left side I kept one arm untied, hanging down from the branch. On the second row, tie arms to some of the legs of the leaves on the first row. Add the last leaf on the third row, tying its arms to any of the second row of legs. 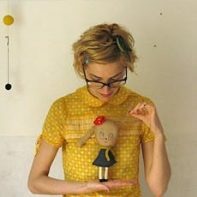 Make a knot on each one of the remaining arms and leg ends. 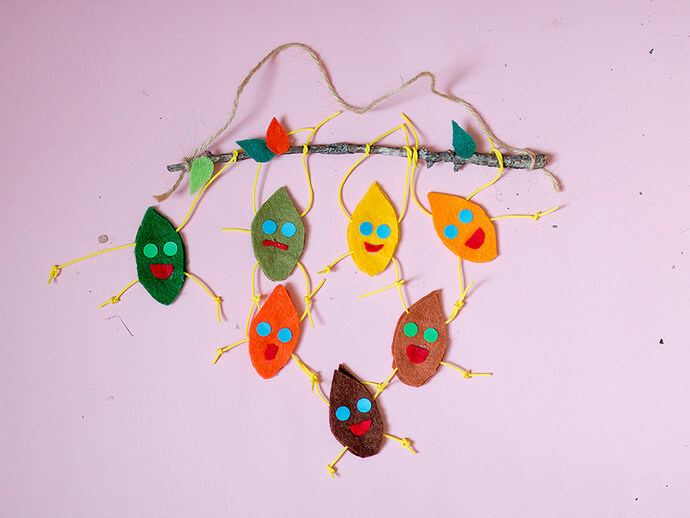 Decorate the branch with a little felt greenery. 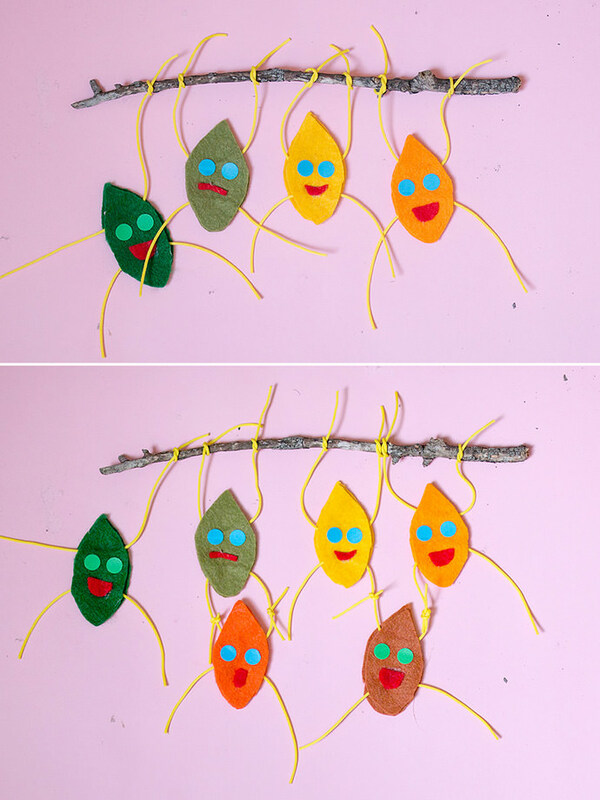 Cut out small leaf shapes on felt using the template and then glue onto the branch. Add cord of your desired length to the ends of the branch.